The Calling Card Case is great for business cards, travel cards, credit cards, or even as a weekend wallet with some currency folded into one of the pockets. 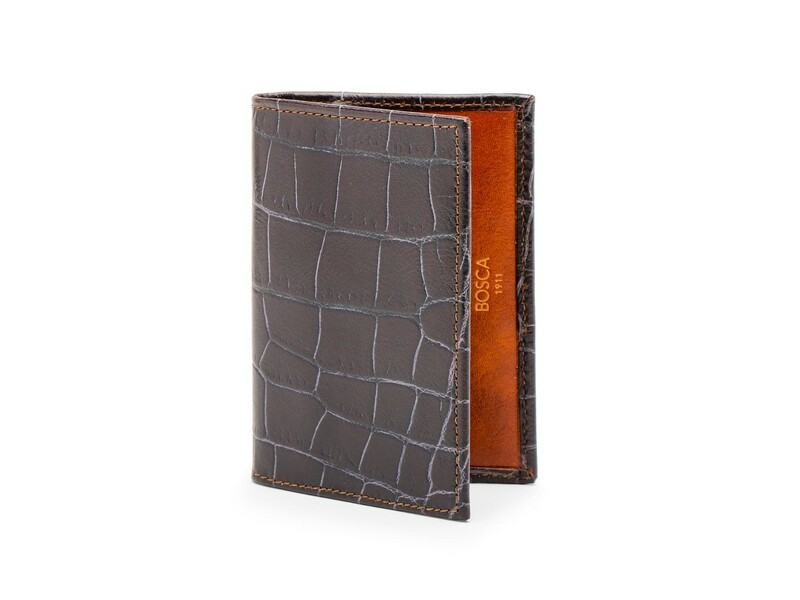 Crafted using Italian vegetable tanned leather with an embossed "Crocco" pattern. The Crocco leather is then sent through a two-step hand "tipping" process and waxed to achieve the "vintage" look. Contrasting the Vintage Crocco is our signature hand-stained, veg-tanned Dolce leather. For a slim option, the Calling Card Case is a perfect addition to your wardrobe.